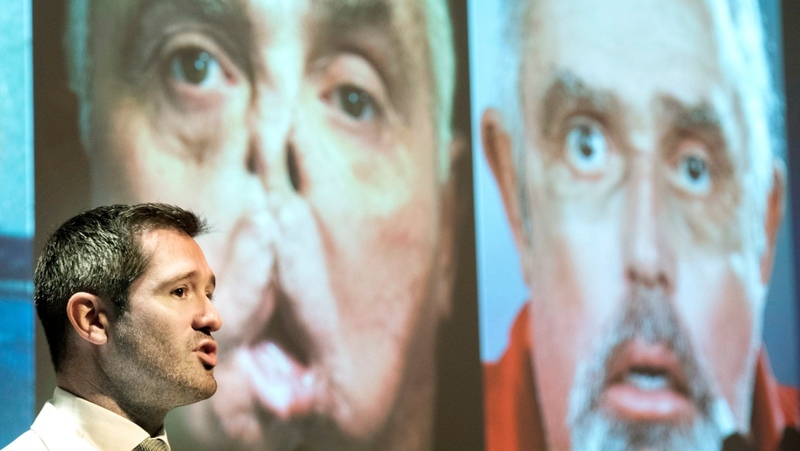 MONTREAL -- In a Canadian medical first, surgeons at Montreal's Maisonneuve-Rosemont hospital announced Wednesday they'd performed a face transplant, giving a badly disfigured Quebec man a second lease on life. Hospital officials detailed last May's complex and risky 30-hour procedure involving Maurice Desjardins, who at 64 was described as the world's oldest recipient of such a transplant. Borsuk said there was no other option for Desjardins, who'd been living in constant pain and isolation despite five reconstructive surgeries since a hunting accident in 2011 left him without his jaw, nose and teeth. "Imagine when you're suffering in silence at home for years and you don't leave your house as much as you'd like to, and you're sleeping in a separate room because of the sound of the tracheostomy (opening in the trachea)," said Borsuk, who also teaches at Universite de Montreal. "You're living this very difficult existence. Then, overnight essentially, you get a second lease on life." Desjardins came to see Borsuk in Montreal with a few requests: to be able to breathe properly, speak properly and to have a nose, lips, jaws and teeth. Borsuk said Desjardins also wanted to be able to walk outside with his granddaughter without people staring at his disfigurement. "We put him through the wringer in terms of tests," Borsuk said. "We wanted to make sure this guy was in good health ... his needs were there, there was no other option for him, and there was no other chance of him having a normal life." Borsuk said the experts involved in Desjardins' case included a psychologist who evaluated his mental fortitude over many years. "He's so mentally tough that even with everything that was done, he's already begun (accepting) the new face," Borsuk said. "That's something we were counting on." Borsuk described the procedure as "a combination of science, technology, engineering and art" that required years of planning in training in the cadaver lab in the bowels of the hospital to minimize risks and maximize results. The Quebec operation required the expertise of nine surgeons, multiple specialists and the collaboration of more than 100 professionals, including doctors, nurses and many other personnel. After seven-and-a-half years of living with his disfigurement, 30 hours of surgery and one week in intensive care, a shocked Desjardins took a look at his new face for the first time and gave Borsuk a thumbs-up and a hug. "You can make a face, but it has to be beautiful," said Borsuk, who believes the team accomplished "one of the best face transplants to date." Transplant Quebec, the province's organ procurement organization, highlighted the generosity of the unidentified donor's family, which granted permission for the procedure. Borsuk said it couldn't be just any donor, but one who had the same skin colour, height, bone structure and even hair colour -- so that even the sideburns and beard of the transplanted face matched Desjardins' own hair colour. 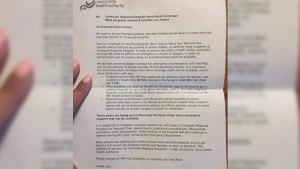 Louis Beaulieu of Transplant Quebec said the donor was identified and special consent obtained for the facial transplant procedure, which was done in an ethical and respectful way given the donor's family was dealing with a recent death. "The process from the identification to procurement is around 40 to 48 hours, that's the window we are working with," Beaulieu said. Neither Desjardins nor his wife were present Wednesday, but Borsuk reported the patient is recovering well and able to breathe without a tracheostomy, chew with his new jaws and also smell and speak properly. 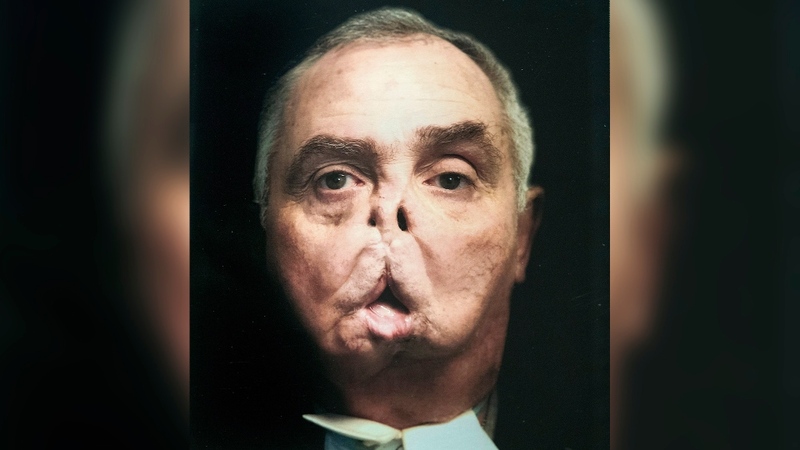 As for the ethics of transplanting another human's face, Borsuk said he didn't view it as different from any other transplant, adding the face has taken on an added importance thanks to social media. "It used to be in the time of our grandparents, that your name meant something," Borsuk said. "Now people want to see your face."